The attractive Lakeland town of Kendal has achieved fame well beyond its modest size. Who hasn't heard of Kendal Mint Cake, K Shoes or 'The Gateway to the Lakes'? 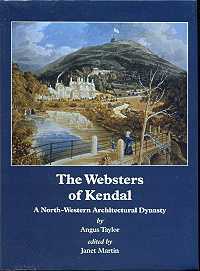 Although these are indeed all facets of Kendal and its past, they are but a small part of its long and varied history. The River Kent is born at the head of Kentmere, a wide glacial valley in Cumbria. Flowing through Kentmere, Staveley, Burneside, Kendal, Sedgwick and out into Morecambe Bay, the river takes a varied course - passing through rural landscapes and once-industrial regions. 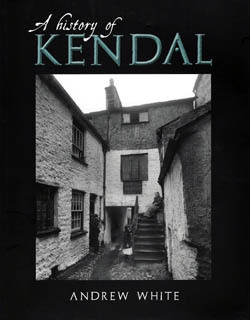 Kendal From Old Photographs offers an enchanting glimpse into this beautiful market town, located in the scenic Lake District. The town's roots can be traced back many centuries, however it was with the arrival of the Romans in the first century AD that the town really began to thrive. They constructed a wooden fort here located at present-day Watercrook, on a bend of the river Kent; with this came the emergence of trade links and the town began to grow. Six centuries after its Roman occupation, the Normans took up residence in the town. It is from this period in the town's history that the earliest indications of a name appear. It was known as Kirk Byre Ken Dale, which means 'Church Town in the Kent Dale'. 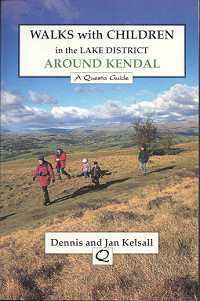 Kendal is often described by two other names, one being 'The Auld Grey Town' and the other 'The Gateway to the Lakes'. One of the earliest indications of the town name was in Norman times when it was known as Kirk byre Ken dale (church town in Kent dale). The central area at that time was built up around the parish church and Kirkland; and on the southern outskirts there is an ancient marker stone bearing the carving of the name Kirby Kendal. 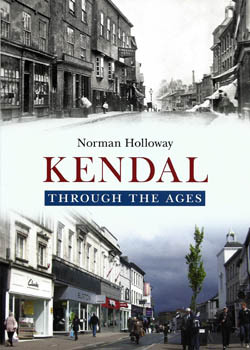 In this follow up to the highly successful Kendal Through Time, author Norman Holloway showcases the town's countless attractions, using a mixture of old and new images to awaken fond memories in those who know and love this historic town. 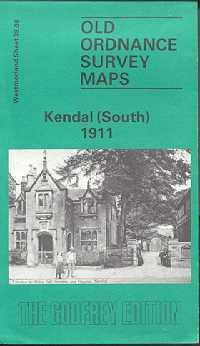 A laminated map featuring key town plans of Kendal, Keswick and Windermere. Also includes top ten sights, useful addresses, motoring information and tips on getting around. 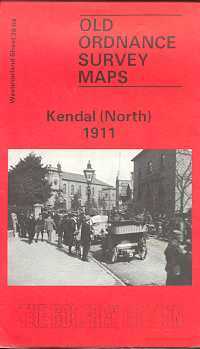 Publisher : GeoCentre International Ltd.
A facsimile reprint of the 1911 edition, showing the area as it was in the early years of the 20th century. With notes. Volume one.Edited by William Farrer and John F Curwen. Cumberland and Westmorland Antiquarian and Archaeological Society, Record Series, 4. 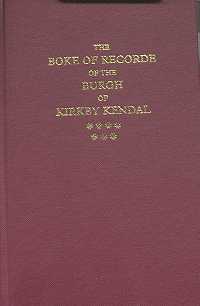 This volume provides summaries and transcripts of documents for each of the twenty townships of the parish of Kendal, arranged chronologically. Volume two.Edited by William Farrer and John F Curwen. Cumberland and Westmorland Antiquarian and Archaeological Society, Record Series, 5. 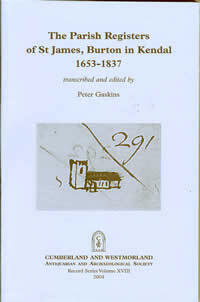 This volume provides summaries and transcripts of documents for the 33 townships in the parishes of Grasmere, Windermere, Heversham, Beetham, Burton and Kirby Lonsdale. 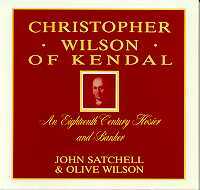 This book is the major source for the history of Kendal and an important collection of evidence about the town, and its place in south Westmorland society. Not just for children, this guidebook is intended to encourage the young (and the not so young!) to get out into the countryside. The walks are meant to serve as a genuine introduction to countryside walking, and are suitable for anyone coming into countryside walking for the first time or for those who want a less strenuous walk.